This morning started like any other day. Rossi at my feet, Hayden next to me, and Heather pushed way too far to the edge of the bed to be comfortable. We’re sleeping on a full size mattress in a space built for a queen, with 90 pounds of dog negotiating for space. Zizi is in the living area, fast asleep like any 13 year old that stays up way too late playing video games and watching anime. As I open the door from the bedroom to the living area she stirs, but settles just as quickly. I threw on my shoes, and went for a short walk. 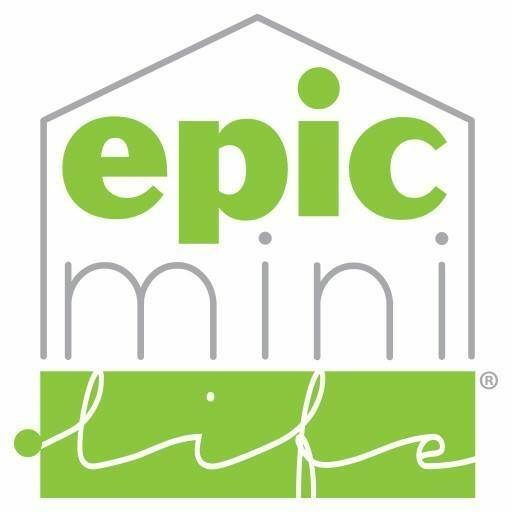 It’s one of the things I’ve been looking forward to when Epic Mini Life is officially on the road. It’ll be a great way to absorb the new surroundings, meet new people, and to enjoy the process of being somewhere new all of the time. There are many small things like this that will add up to something many dream of but can’t fathom actually doing. Last night, Zizi and I took a dip in Lake Lewisville. It was a pretty easy trip, it’s about 100 feet from either side of our front door today. Storms were close, lightning visible, but many miles away, and light rain was imminent. The water was perfectly warm with no hesitation upon entering. We spent a good 30 minutes talking about the day, the various types of snakes in rivers and lakes, and why a seemingly endless supply of bubbles rises from the lake floor. The occasional fish would jump and blue herons were just across the way, maybe 75 feet away. Perfectly quiet. Back to this morning, and the point of this quick post. There are a few things to wrap up at 1817 (our townhouse) before photos can be taken and the home finally listed. We need to replace a few outlet face plates, fix the ceiling in the kitchen where Zizi’s fish tank once leaked, and give the front yard a hair cut. On my morning walk, it hit me like a ton of bricks. Everything we’re keeping is aboard Leeloo. Dishes, furniture, clothes, our dogs, and all of the necessities of life. There is nothing left in the townhouse… which means, get this, we’re now living in the RV full-time! We won’t be going back to sticks and bricks. We won’t be encumbered by literally tens of thousands of things we own but never see. We won’t be in a fixed location, living the same life day after day. Every day is now a new experience, with new challenges and opportunities. This isn’t a weekend adventure to escape a monotonous life built over decades of fitting in. The view above is now every day. Life is now what most would call a working vacation. Home is where we choose to park it. The lesson: it may take longer than you’d like, but with persistence, vision, and execution, you will achieve your goals. If they’re big enough, a grouping of goals will look a lot like a dream. One day you’ll wake up, like I did, and the dream won’t end. In fact, the dream will be just beginning. This morning’s walk was around Pilot Knoll Park in Argyle, Texas. This is home for the next seven days. On August 14th we head to Florida for a bit so Heather can get her Disney fix and we can knock out the Fort Wilderness campground. Then we’re off to Kansas City, and back to Dallas at the end of October.